Over the course of a year-long process that began in early 2016, the COSHeatlh Innovation Group (comprised of a local group of 60+ strong Healthcare Professionals, Economic Development Organizations, and Business Development and Support Service Providers), met over the course of many months to chart a course in the development of a "Center of Excellence" for the development of a set of best practices and industry standards for Secure Health Care Information Sharing. Establish the infrastructure (data, bandwidth) for information needed to support community-wide cyber security; support the ISAO already established here, and begin coordinating with and working closely with the National Cyber Exchange that has been recently formed here in Colorado Springs. As a result of the research completed, interviews with key healthcare providers in Colorado, and discussions with the NCX staff, as well as a concensus of local cyber security professionals the COSHealth team has formed the Health Informatin Security Center of Excellence. We have created an 8-person Governing Board, and a 10-20 person Advisory Board to support the activites of the HISCoE, and have begin to develop a number of initial public facing events, discussion panels, and partnerships and alliances with a number of Colorado-based Healthcare Organizations, Industry Associations, Health IT Innovation Incubators, and Accelerators. Why is the HISCoE Needed ? The health care industry as a whole is being targeted by cyber threats at an increasingly alarming rate ! Once outpaced significantly in terms of breaches and malicious attacks by other sectors such as financial and retail, health care is no longer on the sidelines. Bringing them front and center are five of the eight largest security breaches that have affected this industry in the last five years. all five occurred in the first half of 2015, with almost 100,000,000 health care records compromised ! 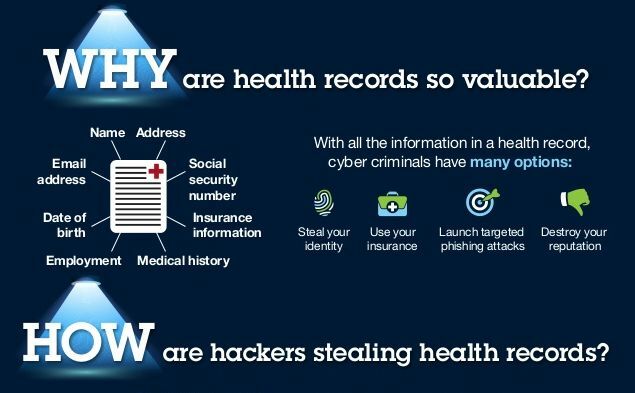 Healthcare data is highly valuable to hackers because they can sell it for a high price on the black market. And patient information that contains social security numbers is in especially high demand right now as it can be sold for upwards of $50 per record ! When compared to stolen credit card numbers, which only sell for about $1 each, the urgency to protect this data is obvious. Hackers stand to make a lot of money off of major breaches that expose millions of people’s data and the headlines indicate that the industry is losing this battle. Criminals can also use medical records to fraudulently bill private insurers and Medicare. They can steal patients’ identities for free consultations or to get prescriptions they can ultimately sell. Unfortunately, it gets worse. 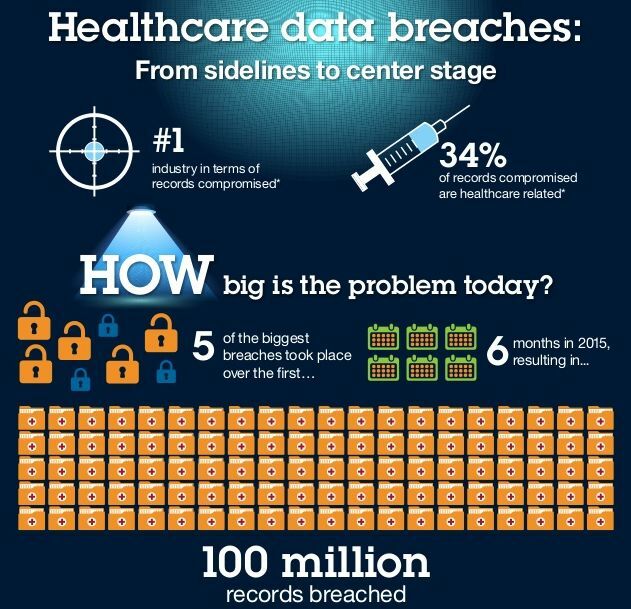 The consequences of a data breach are disproportionately high for the healthcare industry.